A friend brought back this copy from ALA for me. Having read and enjoyed other books by Zimmer, I immediately put this one on my to-read list. It was a quick read, easy and enjoyable. The book consists of short essays, a bibliography and an index. It’s an excellent introduction to viruses living within us and on our planet. Zimmer does a great job on making the book accessible. He helps readers to understand viruses and their impacts through interesting and sometimes scandalous stories. He also incorporates many new research findings and developments in microbiology and medical fields. I enjoyed reading the chapters on the flu, HIV and SARS as well as little-known viruses in the oceans. Actually, I liked the chapter on marine phages the most. If you are into science and want to learn some amazing facts on viruses, this is the book for you. Louise Erdrich is hands down one of my favorite authors and I’m so glad she won the National Book Award for this title. The story is set on a North Dakota reservation in the late 1980s and revolves around the Coutts family. Joe is 13 years old and is enjoying his summer vacation – until his mother is brutally attacked. His mother, Geraldine, is traumatized from the attack and refuses to speak about what happened. She sequesters herself in her room, locked within herself. Joe and his father do what they can to figure what happened and to try and bring about justice but the process is painfully slow and frustrating. Joe eventually sets out to see what he can uncover on his own because he can’t stand seeing what this has done to his mother. This book drew me in almost immediately and has made me eager to revisit Erdrich’s older titles. Her storytelling abilities are really outstanding. Loved this book. Iris Johansen has entertained and terrified me for years with her Eve Duncan thrillers. I love her Eve Duncan’s series and couldn’t wait to continue with reading this one. This is her 14th Eve Duncan book in the series. I have to admit that at first it started off kind of sluggish and slow. Once I did get into it though, it was a rather enjoyable read. Her books are always full of suspense and intrigue and keeps you wanting to keep reading to find out what’s going to happen next. Iris Johansen never disappoints! If you’re a fan, already you know there’s always lots of twists and turns in all her stories and all the books are hard to put down. Iris Johansen is never a disappointment. This is another great page turner! Great book. If you’ve never read Iris, it’s definitely worth your while to do so and even though this is part of a novel series, it stands well on its own. I enjoyed it and will recommend you to check it out. 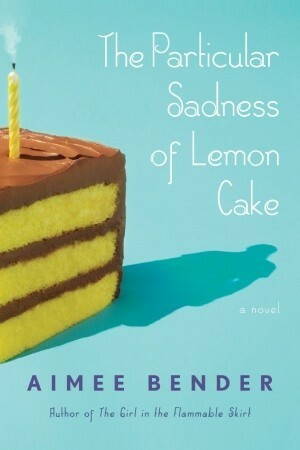 Rose is a perfectly normal girl until the night before her ninth birthday when she discovers that she can taste her mother’s emotions through her homemade lemon-chocolate cake. As the days go by, Rose can start tasting anyone’s emotions in anything they cook and then is burdened with all their hidden feelings such as resentment, anger, and loneliness. She quickly learns to keep her secret mostly to herself because it is such an unusual thing to be able to do. Rose starts to notice how different each member of her family is; her father will never go into a hospital, her brother distances himself from people so much it’s as if he’s not there at all, and her mother can keep a secret from anyone unless it’s revealed to Rose through her cooking. So maybe Rose’s secret isn’t that weird at all. This is a weird book. There were times when I kept asking myself what the point of all of it was. I’m glad I finished it though because in the end, everything made sense. The story is very different from things I’ve read before but Bender has a vivid imagination which is what got me to the end of the book. Book 4 of the Harry Potter series has Harry experiencing strange sensations. He has dark and vivid dreams and his scar occasionally hurts him. Unsure what to do he sends an owl to let his godfather, Sirius, know what’s going on. Fortunately, the Quidditch World Cup comes along to distract him. It’s an amazing experience, but while in attendance death-eaters terrorize a family of muggles nearby and the Dark Mark is shot into the sky. It is unclear who was responsible for sending the signal, but it certainly has people wary. After the chaos of the World Cup fades away, Harry, Ron and Hermione head to Hogwarts to start their 4th year. They are surprised to learn that this year marks the return of the Tri-Wizard Tournament. Students from two other schools, Beauxbatons and Durmstrang, will be coming to Hogwarts to participate. There are meant to be three champions, one from each school. 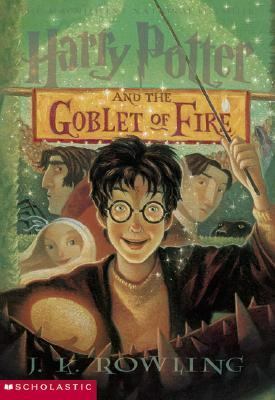 You must be 17 to enter your name into the Goblet of Fire, but surprisingly, when the champions are announced it is revealed that there is a 4th champion. That champion is Harry Potter… No one is sure what to make of this since Harry could not have put his name in there, but many are concerned for his safety. One of those who seems especially concerned is the new Professor of the Dark Arts, “Mad Eye” Moody, a man who put many death-eaters away when working as an Auror for the Ministry of Magic after Voldemort’s downfall. There is no question that someone has it in for Harry. Things take a dark turn in book 4 and the lives of everyone at Hogwarts will be forever changed by the re-emergence of the Tri-Wizard Tournament and the reason behind the erratic pain of Harry’s scar. I thoroughly enjoyed this audiobook. It’s kind of amazing how dark things get in these books so quickly. I’ve already started listening to book 5 and now I’m in the mood to start re-watching the movies! 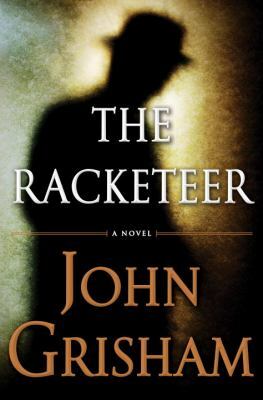 John Grisham’s The Racketeer is the story of a former lawyer who is sentenced to ten years in a federal prison camp for racketeering. The Racketeer starts with the former lawyer, Malcolm Bannister, in a cell in Frostburg, Maryland bemoaning the fact that he is falsely imprisoned and still has half of his sentence to serve. The plot quickly heats up when a federal judge, Ray Fawcett, is murdered and Malcolm Bannister claims to know who the murderer is. Bannister is willing to supply the name of the murderer in exchange for his freedom and the $150,000.00 reward money. The Racketeer is a wild ride with many twists and turns. When you think that you know what is going to happen next, it turns out that you don’t. 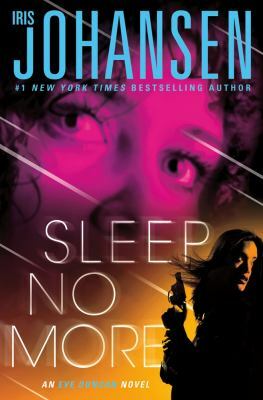 The plot gets less and less plausible, but you continue to read because you need to know what happens next. John Grisham is one of my favorite authors. I’ve reviewed a few of his other titles on this blog, including his young adult novels. The Litigators was one of my favorite legal thrillers by John Grisham. While I don’t rate The Racketeers as highly as The Litigators, it is an enjoyable read. The small island of Nantucket is shocked when four teens are involved in a summer car accident. The driver, Penny Alistair, has died and her twin brother, Hobby, is in a coma with multiple fractures. Penny’s boyfriend, Jake, and their friend Demeter walk away from the accident with only guilt and loss to show for it. Everyone starts to wonder if they had a part in Penny’s rage that caused her to drive too fast the night of the accident. The only person who knows what caused Penny’s erratic behavior is Demeter and she’s making sure she forgets the accident ever happened. This was definitely a fast and quick read with a lot of emotion packed in. There are a lot of characters to keep up with and the story is told through almost every character’s point of view, even from the town of Nantucket. The character’s lives are nicely weaved together which makes it easier to keep track of what is happening in each character’s life. 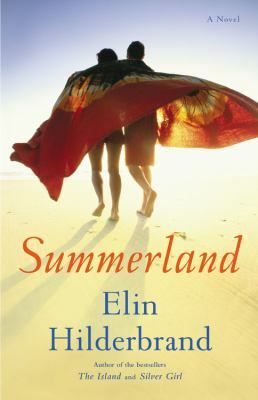 I enjoyed the story but it made me miss summer a little too much!